Llangollen - A canal boat holidays attraction. 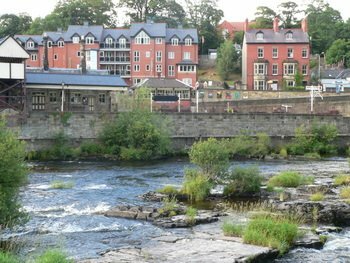 Llangollen is a haven for shoppers looking for interesting and unusual gifts. There are also many interesting walks in the town. You can also visit the Horseshoe falls which provides the water for the Llangollen canal.